This energizing blend of essential oils supports a strong and active lifestyle. It's the perfect blend of Spearmint, Eucalyptus, Orange and Lemon Essential Oils. 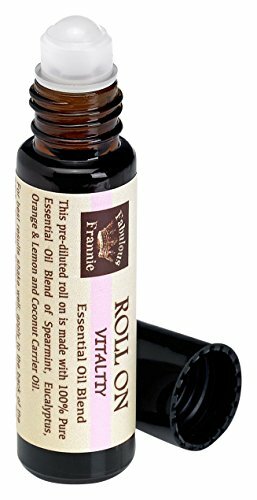 Vitality Essential Oil Blend 100% Pure, Undiluted Essential Oil Blend Therapeutic Grade - 10 ml A perfect blend of Spearmint, Eucalyptus, Orange and Lemon Essential Oils.